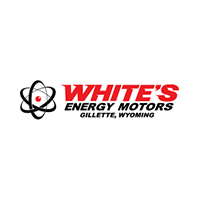 Gillette and Rapid City Automotive Job | White's Energy Motors " "
Contact us online for other exciting employment opportunities or give us a call at 844-366-5221. Due to an increase in business White's Energy Motors is looking for a Chrysler Certified Mechanic. White’s offer great wages, benefits, and working enviroment. Apply now ff you would like to be part of a team that values your opinion. We are looking for an experienced Sales Professional. Possible Sales Management opportunity for the right candidates. Great benefits, 401K, Health Insurance, Competitive Wages.